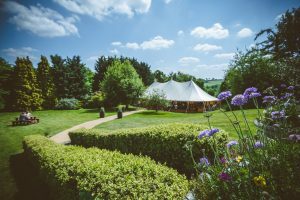 We were delighted to host our Open day on Sunday 20th May 2018 – and excited to see the launch of Country Tipis’ new Celeste Pole Marquee. Both the day and the marquee were impressive! We started bright and early, and we couldn’t have asked for a more beautiful day to showcase our tranquil wedding venue. 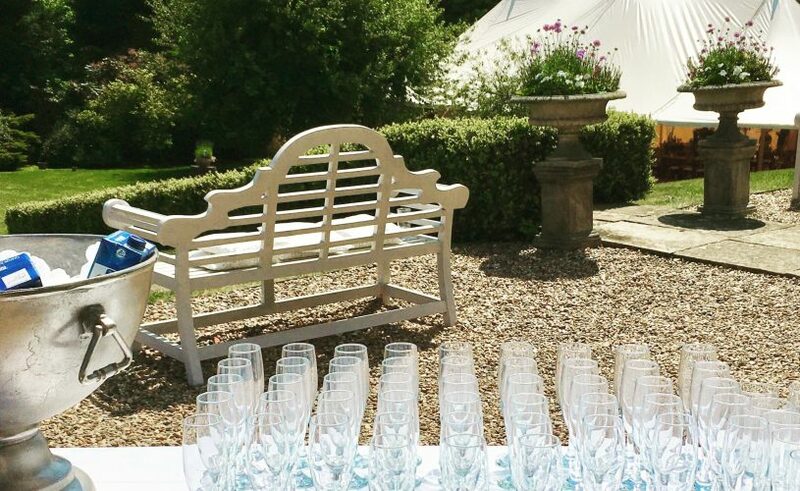 By offering the Celeste Marquee as an option along with the popular Tipis enables us to retain a rustic style which so suits our beautifully quaint and secluded garden, complete with a separate secret garden for your ceremony (or somewhere to put the kids)! From when we opened at 2pm, we welcomed lots of prospective bridal couples for 2019/2020. It was lovely to see so much excitement about our gardens and, of course, the brand new marquee. The sun shone and couples were able to enjoy a glass of fizz whilst sampling the delicious canapés kindly provided by our catering partner, Kingfisher Caterers. Sam Lewis provided a lovely musical backdrop on the terrace by playing some great mellow tunes on his guitar, which helped enhance the relaxed and informal vibe. 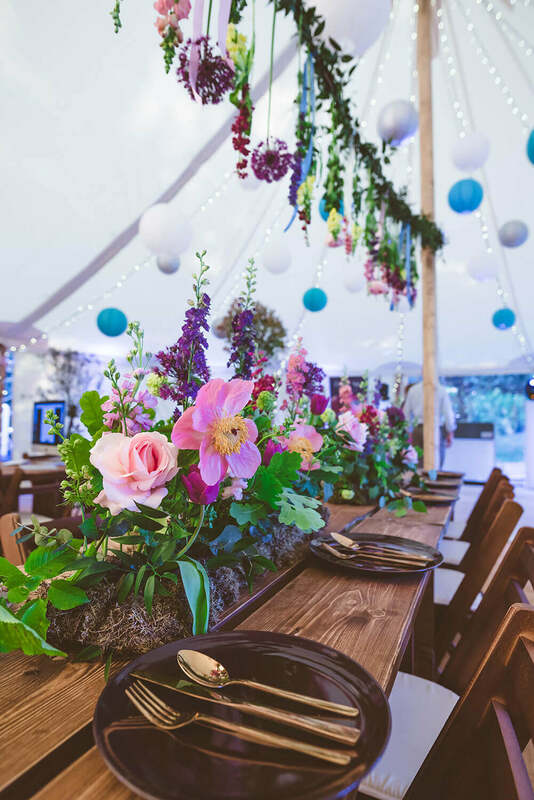 The marquee was stunningly adorned with the most colourful and beautiful floral displays provided by the massively talented Kerry from Foxgloves & Alice. Kerry’s natural relaxed floral style so suits our environment and along with the fabulous Olive Trees hired in from Vanstones, Codicote. The paper lanterns (provide by Fleur de Lace) were so spectacularly suspended from the sweeping high ceilings… the marquee looked amazing. It really does offer something unique for your special day. The 24m x 12m marquee (triple pole) can seat up to 200 people, the 18m x 12m marquee (double pole) can seat up to 140 and the 12m x 12m marquee (single pole – circular) can seat up to 80 people. Please bear in mind that these numbers depend on what else you’d like inside! Country Tipis pricing includes woven matted flooring (suitable for high heels) and lighting (fairy lights and LED up-lighters). The day turned into the evening and we were overwhelmed by the encouraging feedback we had from couples visiting us on the day. It was such a pleasure seeing so many happy couples. We very much look forward to hosting the couples that have chosen Lodge Farm House for their big day. If you would like to view Lodge House for your wedding venue, we’d be delighted to show our stunning, friendly venue. Please contact us to arrange an appointment. Lodge Farm House B&B just a couple of miles from Luton and London Luton Airport! 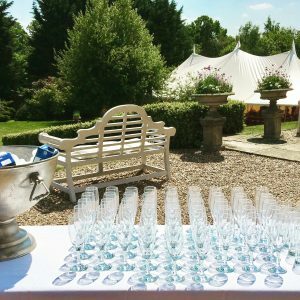 Why Book your Summer Wedding at Lodge Farm House?